If your still shook over the dusting of your favourite Marvel characters at the be-gauntletted hands of Thanos, no doubt you’ll be eagerly awaiting Avengers: Endgame to see how the gang get out of this little pickle. In the run up to the film’s April release, Marvel have dropped the poster series to end all poster series. 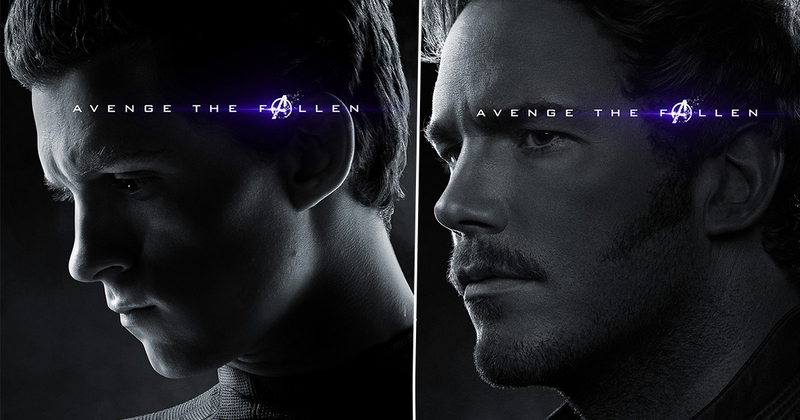 The posters – one for each hero – depict the survivors of the Infinity War in color while the fallen – Shuri, Spider-Man, Nick Fury, Star-Lord, and Groot, to name a few – are in black and white. The posters are so heart-wrenchingly good, they’ve been getting the marvelous meme treatment in droves from online observers. Fans of the Marvel Cinematic Universe have superimposed the ‘avenge the fallen’ tagline over the likes of John Wick’s dog, Doctor Strange’s cape and Pixar’s Inside Out imaginary friend Bing Bong, with varying degrees of hilarity and heartbreak. But while some of us – guilty – have been busy offering and analysing comedic interpretations of the posters on offer, other hawk-eyed comic book fans have spotted a little something which alludes to the fate of one of the Avengers you probably presumed dead. You’ll notice, in the poster depicting the majestic side profile of Vision, something which appears to be a glitch manifesting in a coloured line above the release date. While others might suggest it’s merely a printing error, it does appear on the digital format posted by Paul Bettany, who plays Vision. Not on the Marvel version, however. Anyway, Marvel Studios – the king of end credits scenes and Easter eggs – are well know for little games like this. So, perchance to dream. If you remember, Vision played a key role in the narrative of Infinity War thanks to his unique non-human set of skills. It was Thanos ripping the Mind Stone from his very head which ultimately killed Vision. The same can’t be said for his love interest, Scarlet Witch – or Doctor Strange, Gamora, or T’Challa, for that matter. In fact, many muse the snap of mere fingers would have had no effect on his health at all. Anyway, the inimitable Shuri was working on a method to separate Vision from his Mind Stone when she was snapped out of existence; maybe there’s a chance she got far enough through the process for some semblance of Vision to remain intact for the Avengers to retrieve? All remains to be seen. Avengers: Endgame will be released in UK cinemas on April 25 and, for our American friends, April 26.